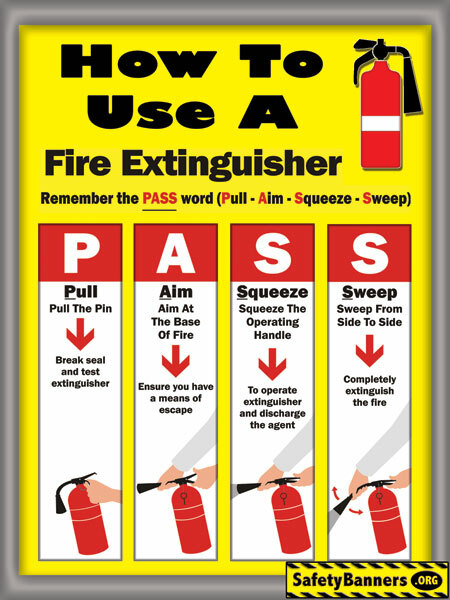 FREE PASS Fire Extinguisher Use and Fire Safety Poster Download. 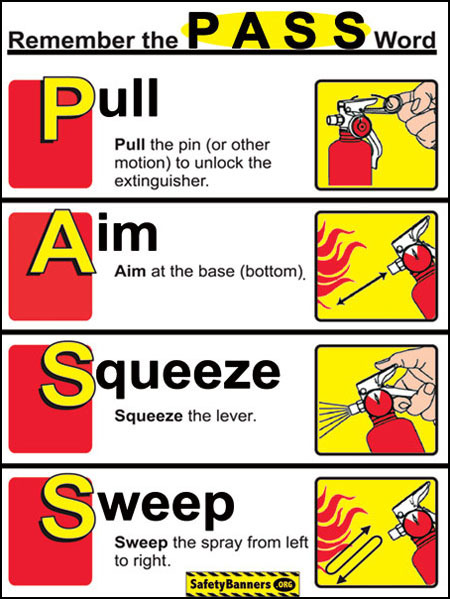 FREE - PASS Fire Extinguisher Use and Fire Extinguisher Types chart Safety Poster download. Our fire extinguisher use awareness safety banners & posters help in a fire emergency. CLICK an image below to down load it. These PASS Fire Extinguisher use posters might also be appropriate to give to your employees for home safety. CLICK HERE for our MOST POPULAR Safety Banners. 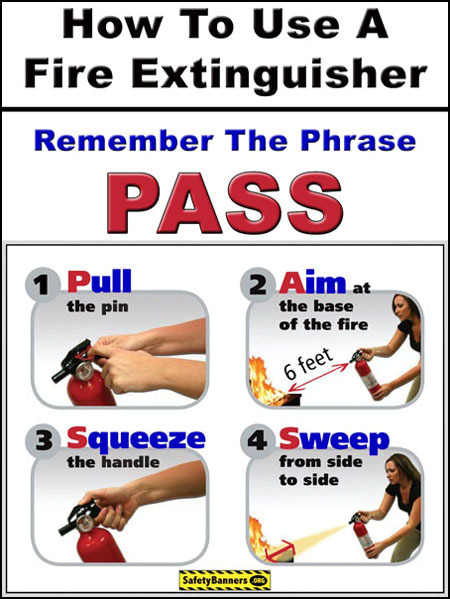 PASS Fire Extinguisher Use is the most popular method of using a fire extinguisher. 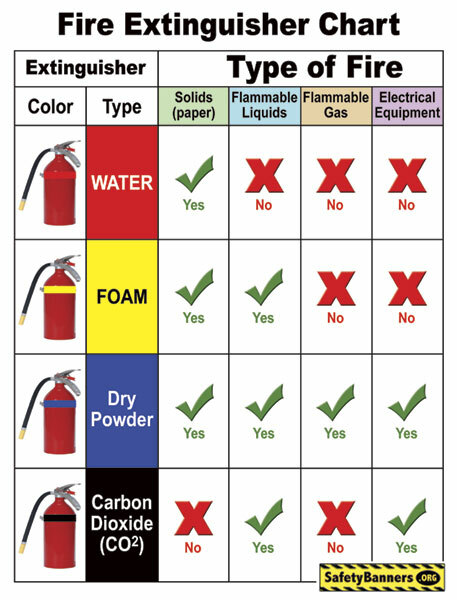 Our free PASS fire extinguisher use poster download fits perfectly on an 8 1/2" x 11" piece of paper. Down load it now for free and place one wherever you have a fire extinguisher. Fire safety and fire extinguisher use is an important part of every facility and home safety program. SafetyBanners.Org, manufacturers of High Impact Safety Banners and safety products to Promote On The Job Safety. All images and designs are the property of New Tech Graphics and may not be reproduced without written permission. Manufactured on demand by New Tech Graphics - located in MEMPHIS, Tennessee, the Heart & Soul of Rock & Roll. Have Questions? Email us, use the email us button top center, or call us at 901-759-0932 Central Time.